Sunways Global has been formed as a renewable business segment of EuromaxCapital Group to take advantage of the vast number of opportunities in renewable energy across the globe. We aim to focus our energy project management and technical know-how into a single business unit, capable of providing an efficient and resourceful way for our investors to invest in energy infrastructure projects across the globe. 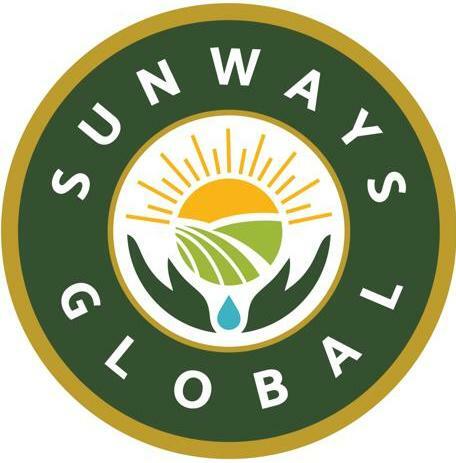 Sunways Global is an integrated independent solar power producer, delivering affordable, rapidly deployable and sustainable source of clean energy. A long-term player, Sunways Global develops, builds, owns, operates and maintains solar power plants in its region of operation whereby it manages a wide range of potential medium to large scale investments in solar energy projects while diversifying the risk profile of each investment. Target geographies have been chosen based on a rigorous analysis of the local market dynamics and our ability to generate value in the market. Sunways Global focus primarily on solar power while actively evaluating more renewable energy infrastructure assets. With an established global presence, Sunways Global is currently developing, constructing and operating across India, South East Asia, African and East European continent with robust project pipeline. The company has participated in bidding for several large scale solar power tenders issued by Indian government for developing solar power projects and already executed more than 50 MW of solar projects in India and is growing briskly with a project backlog and pipeline of more than 150 MW. Sunways Global works closely with its professional and international network of strategic partners. These partners range from project developers to equipment suppliers and from utilities to financial investors. Sunways Global has done collaboration with key strategic partners that complement our strengths and share our approach on creating value through in-depth expertise.